Pavel Haas, François Couperin, and Gabriel Erkoreka. Music always builds bridges: to the present in which it is composed, to the history from which it draws, and to the future toward which it strives. The bridge often remains a fragment. It is this tension that determines my selection of the program for this recording. The Four Songs on Chinese Poetry by Pavel Haas are for me an illustrative example: this song cycle about the unfulilled longing to return home was written in Theresienstadt in 1944. Unassuming at first glance, the work was performed in the camp more than fifteen times in the space of a few months; today it remains the composer’s last extant work and his artistic legacy. In composing the songs, Haas referred to an earlier work that he had written in Brno in 1939, shortly before his deportation: the Suita for Oboe and Piano, Op. 17. This piece is merely the sketch for an uninished song cycle whose text is unknown to us. But the Suita already anticipates some of the key musical symbols of the 1944 songs: five years later and under even more menacing conditions, Haas returns to his ideas and develops them, while in the ghetto, into the Four Songs. This story reveals the extent to which music is inextricably bound up with contemporary events. It is the most direct way of expressing themes and inner states that move people in an existential way. The arc of tension between the familiar and foreign, between returning home and losing one’s home, between longing for the past and new departures is still a focus of social and political discourse today and shapes fundamental questions about what it means to be human. In its own way, a small piece of music can reveal world history in condensed form. In other compositions as well, these tension-filled and often fragile relationships play a vital role. The program of this recording combines works from five centuries whose relationships with one another may not be obvious, but whose discovery is all the more rewarding precisely for this reason. Through its historical context or formal language, each piece sheds light, from a particular artistic point of view and from the perspective of its era, on the great question of what is foreign and what is truly our own. During my research while preparing this program, I repeatedly came across important correlations, stories, and surprising details. Though there is no space to include them in this booklet, I would like to make them available to listeners, since they allow the music to resonate in a deeper space. This is why I decided to write a blog devoted to the background of each of these works, in which I discuss interpretations of old manuscripts along with my personal readings of the music and a collaboration with three contemporary composers. In addition, the blog offers a sort of “glimpse into the rehearsal room” that sheds light on my artistic work. 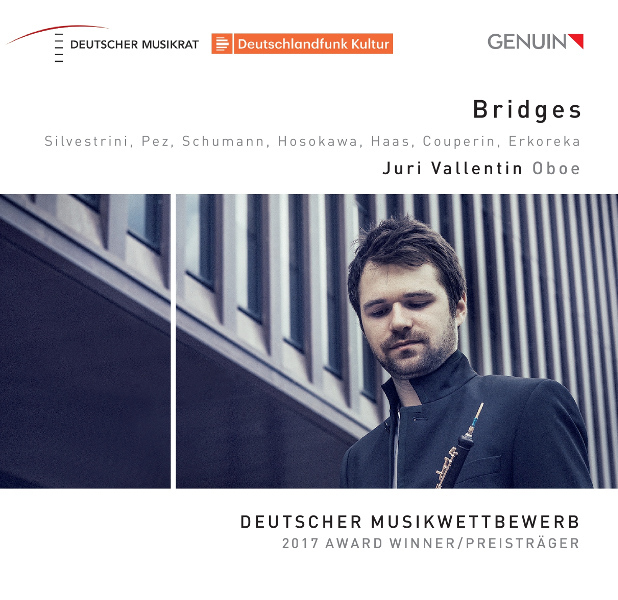 With this compilation of music both well-known and unknown, that fills us with both peace and trepidation, I would like to invite you to discover unexpected bridges in music that remain hidden when one listens in the usual way.